As the deep scene continues to simultaneously resurge and explode in the UK, the repercussions are mirrored worldwide with a slew of smoking hot producers interpreting the sound in their own unique way. 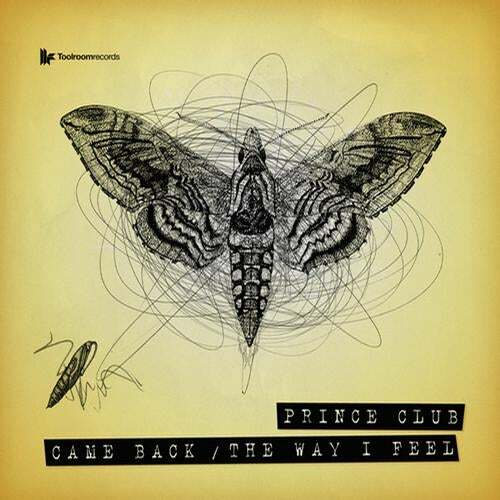 Toolroom Records welcome Prince Club, two such artists, who proudly unleash their latest dual track bomb Came Back / The Way I Feel.Lead track Came Back echoes its moniker throughout swathed in reverb, sitting neatly over a serious groove and infectious bassline that sings with oldschool analogue warmth. Nailing the vibes of deep, techy house with cool garage influences, this has been tearing up the scene for the Canadian duo, featuring heavily in their sets worldwide. The Way I Feel keeps the EP on a similar tip, breaking out pure oldschool nostalgic top lines sewed together with nu school analogue production. A cool vocal hook draws focus over another ruff drum groove, proving that Prince Clubs aptitude to hit organic and on-trend deep vibes is the genuine article.Pick up the killer Prince Club debut Came Back / The Way I Feel and keep ahead of whats hot with Toolroom Records.